Bloomfield, NJ – May 30, 2012 – In operation for 19 years, the Minuteman Press in Bloomfield, NJ has always held a high standard of commitment for quality service. Freddie Pokrzywa, owner of the Bloomfield location, and their manager Sam Olivero have demonstrated community service beyond their store doors. They are set to release a mailer next week to 10,000 Bloomfield residents. Pokrzywa and Olivero have chosen to personally donate an AD space in its mailer for The Gem Project not-for-profit organization. The Minuteman Press of Bloomfield, NJ are also proud sponsors of the Gem Project Define Real Beauty Traveling Exhibit. The recent campaign has paved a way to explore and deepen the conversation about beauty and its presently narrow perception in the media. Earlier this month, it made a debut at the New Jersey Institute of Technology for the 1st annual YES Conference, held by NABFE. The YES conference provided an empowerment arena for young teen girls to network with highly influential women of service and business. There were over 18 workshops being held from 8:30 – 3:00 PM, with an expected attendance of 200 teen girls. The keynote speaker was Leanna Archer, the youngest person to ever ring the NASDAQ Stock market opening bell and successful teenpreneur. The Minuteman Press is located at 625 Bloomfield Avenue. Bloomfield, NJ 07003. Their hours of operation are Monday through Friday, 8:30 AM – 5:30 PM. 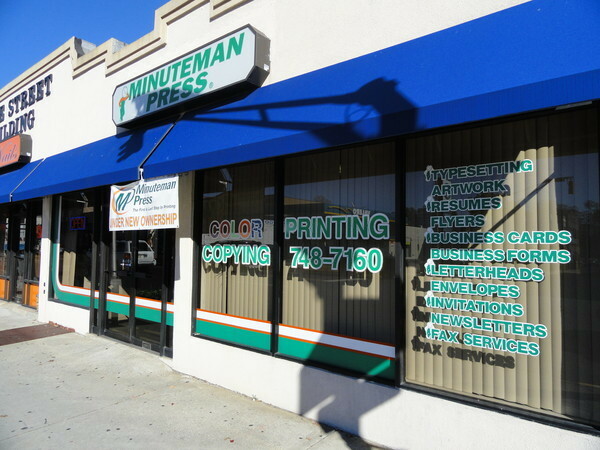 The Minuteman Press in Bloomfield, NJ have been in operation for the past 19 years. They offer an array of services, which include but are limited to black and white/ color copies, bindings, lamination, business cards, calendars, newsletters, wedding invitations and more. For a full product list, visit their website minutemanbloomfield.com. The Gem Project is a not-for-profit organization that educates school-age children, youth, and young adults about various issues that are affect them and their communities. Through the use of innovative programs and enriching activities, they’re able to hone their leadership and community organizing skills. Since its inception, the Gem Project has impacted over a thousand lives through their educational workshops, seminars, youth-led programs, and collaborations with local organizations. The Gem Project’s work has been highlighted in The White House Blog (Young Americans), Black Celebrity Giving, NJ.COM, Rutgers Magazine, HelloGIGGLES, and more. It was through their consistency, especially within the city of Newark, that they recently accepted the city’s resolution for our service to the residents of Newark, NJ at the event titled, “Women of Strength, Honor, and Service,” hosted by Friends of DeNiqua Matias on March 25, 2012.